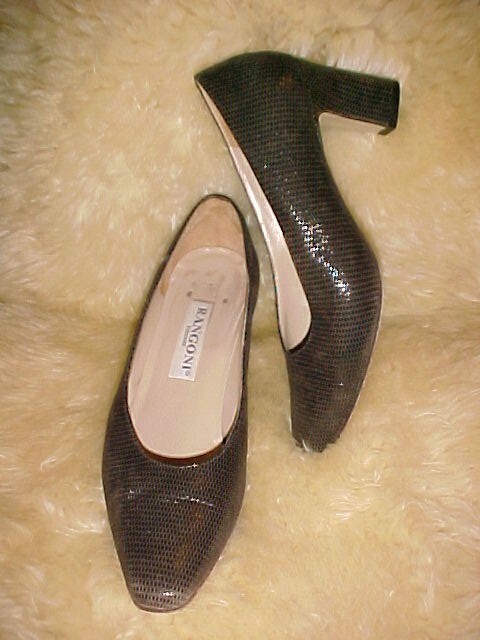 Rangoni Firenze Reptile Pattern Leather Pumps. The size is 8B made in Italy.. The Leather is a nice cocoa brown. The looks is shiny but the texture surprisingly soft. The condition is excellent with only a few signs of wear. 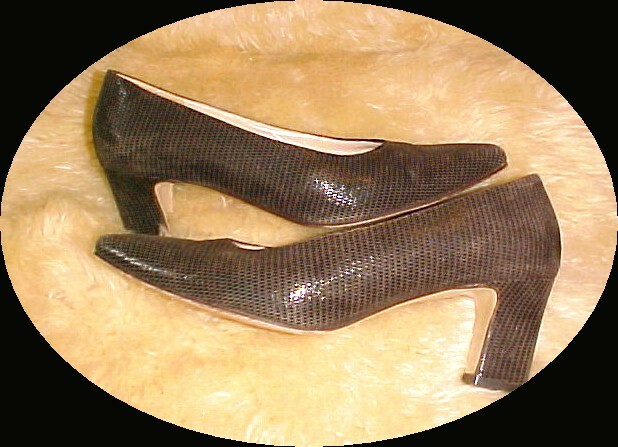 The tip of the toes and the back of the heals looks like they could use some polish. The overall look is fine. You could get away with doing nothing to them. 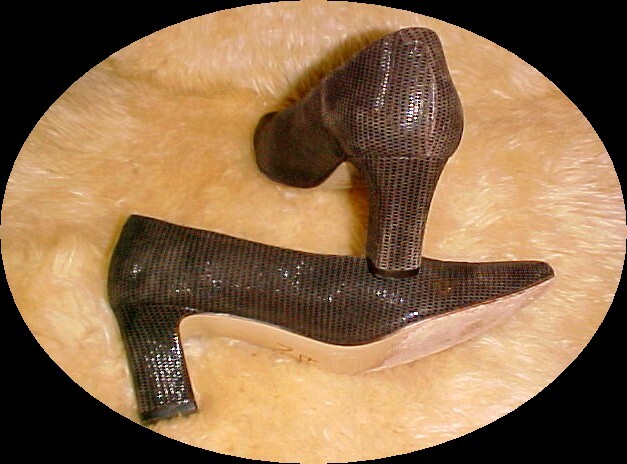 Items Similar To "Vintage Pumps Rangoni Firenze Italia Reptile Pattern Brown *PRIC..."